Tigh na Boireach offers self catering accommodation in North Uist. 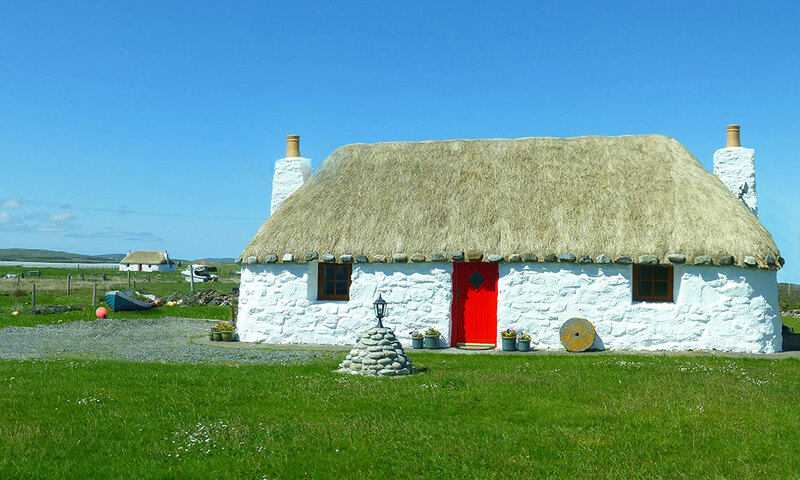 This romantic, picture postcard house encapsulates the traditional style of the Scottish Blackhouse & is an ideal retreat or honeymoon destination. The cottage is both beautifully historic, yet well-equipped with modern facilities. The kitchen features a luxurious oak worktop and pale cream painted units. The living space is the perfect place to relax, with a realistic electric fire make the room feel cosy and warm. 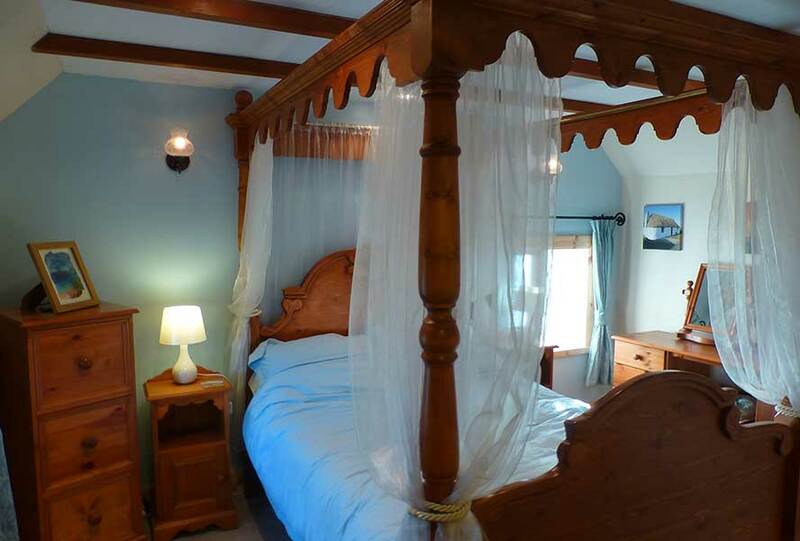 The bedroom features an impressive four poster double bed complete with organza drapes to give a feeling of luxury. This is a perfect base for island exploration and there are numerous outdoor activities to enjoy. The coastline boasts some of the most stunning beaches around, and the clear blue sea is a haven for wildlife.